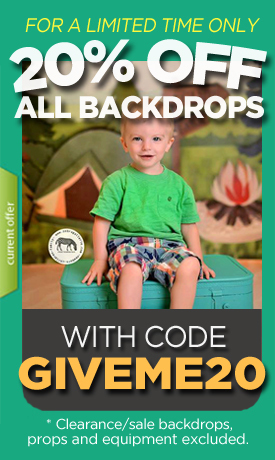 Gender-neutral backdrops are a must have for photography studios. They are extremely versatile and a great prop to add to your collections. Something like this yellow and brown polka dot background would look great in your photo shoots.